I purchased this old high hood 2 years ago from an upscale high end truck sales lot here in Texas. The previous owner had traded it in on a new truck, so they said they would take anything on a trade in, and I am sure they gave him very little for it. I saw this old jeep and it did not fit in with the high end 1-4 year old trucks. They had it listed as a 1953, as they did not know. I matched up the serial number and saw it was a 1954. 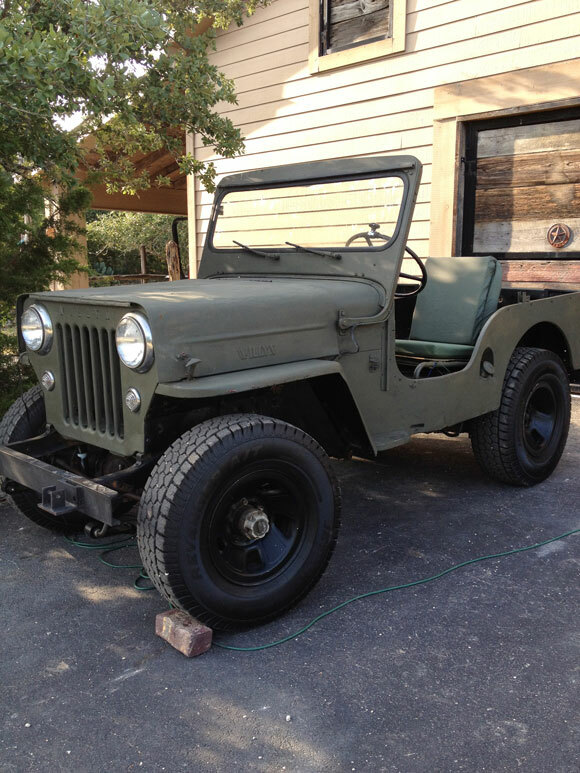 That made it even better, as I wanted a Willys the year that I was born. 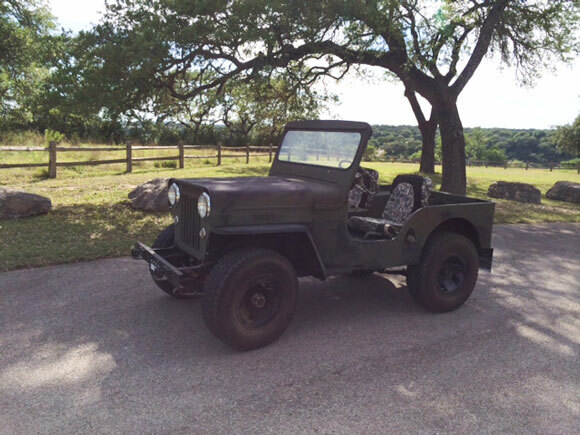 The CJ-3B was tucked in the back and a Texas ranch owner had it on his place for over 20 years and has used it for hunting and ranch chores. It was multi color and needed lots of attention. I took my creeper and work light and went to take a look. Like most old vehicles, it had cancer rust spots, but with the little 4 cyl, that ran ok, it looked like I could salvage the Willys. We settled on the price and I put it on a car trailer and drove the short drive to my ranch. Ok, where to start??? I got the mechanical issues and the wiring done and then I tackled the extensive de rusting and massive cleaning and painting I have done on all three Willys I own. 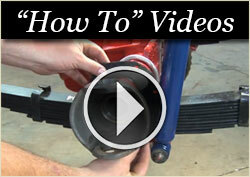 Many many countless hours of work required to get it right. It is a pleasure to drive on the ranch and back roads where I live. I am keeping it “military style” and a olive drab color, as I am a retired Army Ranger. I have trimmed it out with some ACU camo seat covers and trim. 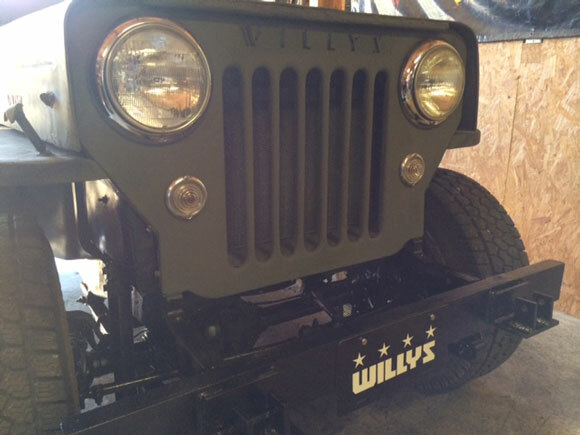 People who don’t know WILLYS, think that is someone’s name on the vehicle, but I tell them the Willys story. 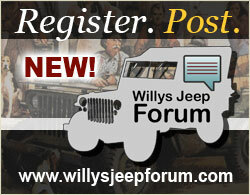 They think that a jeep is a jeep, but far from the truth, as jeeps wish they were a WILLYS!! I obviously love these vintage super dependable vehicles, or I would not have three of them. They are a pleasure to take from the current condition to a much better condition. 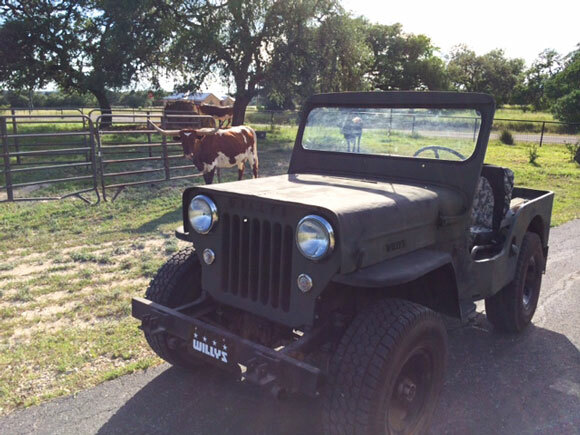 The quality of the Willys and the dependability is unmatched. This little 62 year old high hood beast turns lots of heads when they pass me as I go down the road in the right lane at 50 mph. I get lots if thumbs up. I just wave and smile, as I am in no hurry to get where I am going, and know my Willys will get me there in safety and ease. 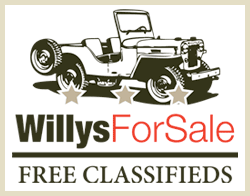 If you are even thinking about investing in a vintage vehicle, do yourself a favor and find a Willys. 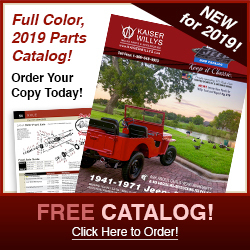 You will also find any and every part for it, along with great shipping, advice and customer service from Kaiser Willys. Great story. 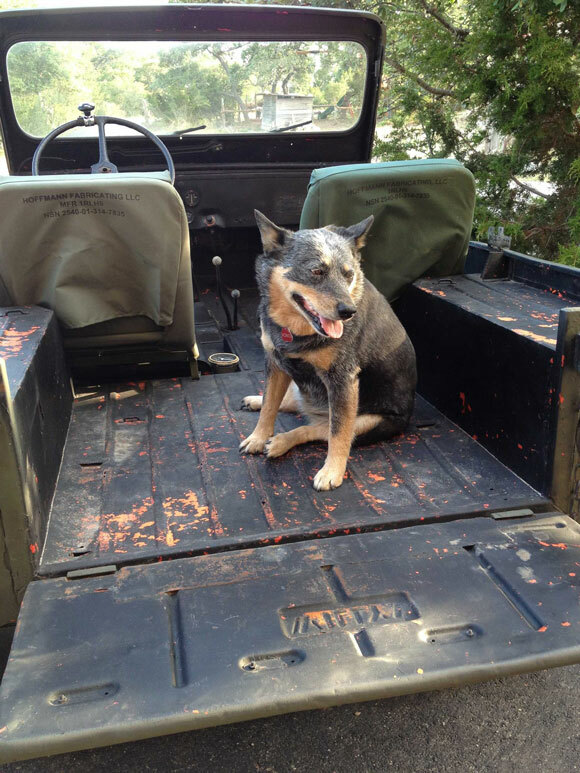 I found a 1947 CJ2A in the Minnesota area 24 years ago and stored it for most of that time. Last year I restored all the mechanicals and left the body original, which is in excellent condition. Like you, I just enjoy driving it and consistently, real jeep people always have to smile and wave. Good looking 54 you have there. 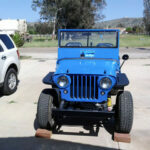 I have a 54 CJ3B as well. It is the one with stainless body on web site. Took me little over a year but she is solid and runs like a champ. Great story and nice job Ron. I have a M38A1. People can’t look at it without smiling–particularly ex military. 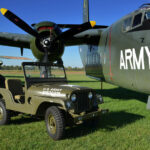 Good story, I’ve also been a life-long fan of Willys vehicles. My great uncle had two W.O. 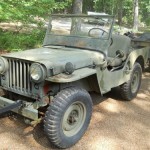 wagons and seeing Jeeps in old war movies always made me smile. They have a quirky personality like no other vehicle. 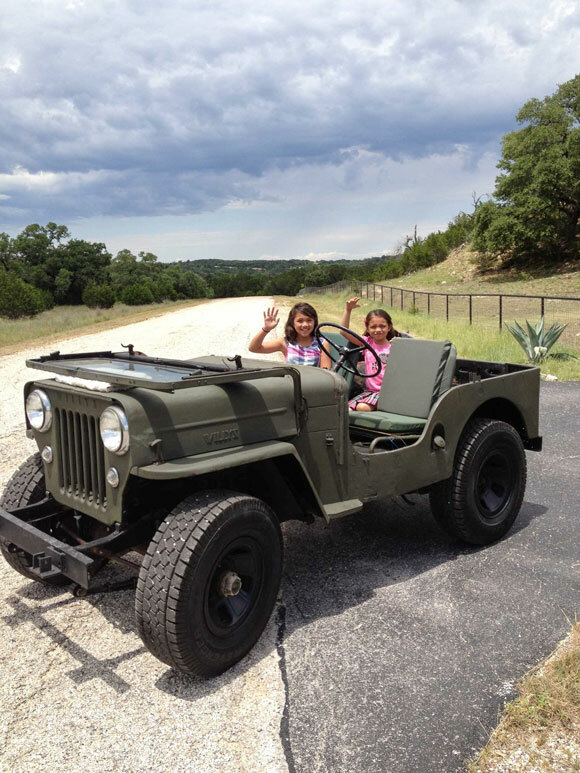 Restoring old Willys and driving them will take your mind off the world’s problems. Great collection. Extremely great job! 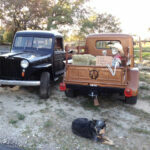 I also like your two WIllys Pick Up trucks in the first pic….. This is my twin brother! Nice article and thanks for sharing. 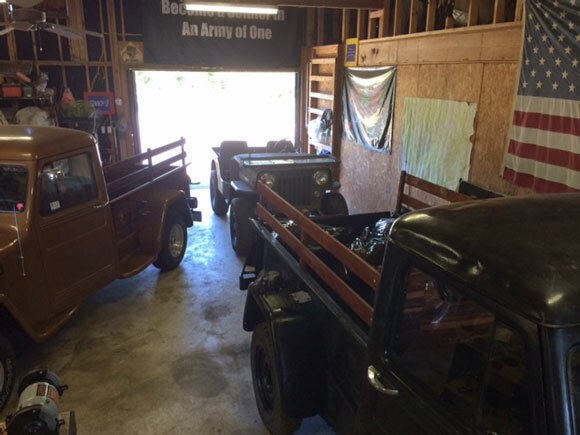 While I am an FJ40 Toyota Land Cruiser owner (currently 3), I do love the Willys jeeps and pickups and what Ron has done to restore them. I’ve learned a lot from him!